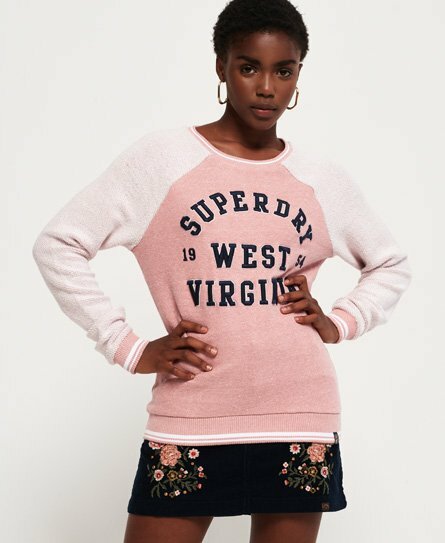 Superdry women’s Aria reversed crew. This crew neck jumper is perfect for the cosy and casual look, featuring the Superdry branding across the chest with a Superdry logo tab on the hem. This crew jumper is completed with a ribbed collar, cuffs and hem, for a flattering fit. Finish the look with a pair of your favourite jeans and trainers this season.